One common symptom of meningitis is having an itchy rash. Usually, meningitis is known to cause an inflammation of the brain and the spinal cord lining. Meningitis is a life-threatening condition and immediate medical attention should be overseen. In case of a rash, it’s not recommended that you wait for the rash to develop to be certain that you have meningitis. A glass test for meningitis rash can be used to confirm whether or not the rash is an indication of meningitis. When the glass is rolled over a meningitis related-rash, it doesn’t fade. Also, the rash is hard to notice especially on dark skins. Commonly, to check for meningitis rash, look for spots on pale areas such as the tummy, palms, soles of the feet, mouth, and inside the eyelids. In case you are concerned about your health or your child’s health, do not delay medical advice and attention, if the rash develops, it can result in severe consequences. The symptoms may not develop for everybody and if they do, they don’t develop in any order. Also, in most cases, viral meningitis symptoms get better without medication within 7 to 10 days. However, it’s important to seek medical care once you notice any sign. What is The Glass Test for Meningitis? A glass test is used to test for meningitis. When a clear glass is pressed against the skin rash and it doesn’t fade or the spot can still be clearly seen, then it could be a sign of a meningitis rash. In case the rash is fading, it’s recommended that you check periodically to be certain and to observe any changes. One important consideration you should understand though is that a glass test for meningitis rash is not always accurate. Since meningitis is a life-threatening condition, then it’s important to seek medical care always even after performing a glass test. 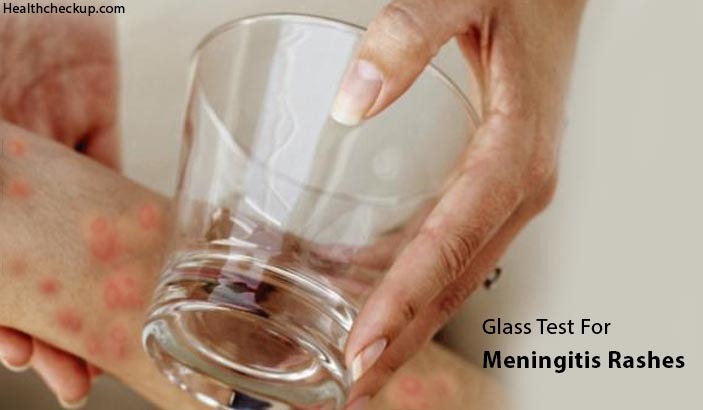 How To Do The Glass Test For Meningitis Rashes? Check for other meningitis symptoms even if the rash doesn’t fade. If the patient shows other major signs and symptoms of meningitis seek emergency medical care. Pay close attention to dark skins, it can be difficult to notice the rashes. In cases of viral meningitis, recovery happens on its own within a few days. Treatment for bacterial meningitis may involve such procedures such as antibiotics, hospitalizations, and medications such as cortisone, sedatives, and anticonvulsants can also be used to treat and manage meningitis. Also, ensure that your child rests, feeds on fluids, and is kept warm. In most cases, the treatment will depend on the cause of the illness. For instance, if meningitis is caused by viruses such as influenza and herpes virus, antiviral medication should be administered to the patient. Also, severe cases in both babies and adults may require hospitalized medical care. Meningitis itchy rashes and other symptoms of meningitis will disappear as soon as the underlying meningitis condition has been managed or treated. Meningitis if not treated immediately and effectively can cause health complications such as deafness, paralysis, and brain damage. Below are some simple steps that can help to avoid or lower the chances of developing/ spreading viral meningitis rash and other related symptoms. Wash your hands thoroughly with enough soap and water particularly after using the toilet, changing diapers, blowing your nose, or coughing. Also, some vaccinations can help reduce the chances of developing viral meningitis. They include vaccinations against diseases such as chickenpox, mumps, measles, and influenza. Control rats, mice, mosquitos and other insects that can contribute to the spread of infections to human beings. Clean your house and environment well and regularly. Meningitis rashes in babies and adults should never be assumed. 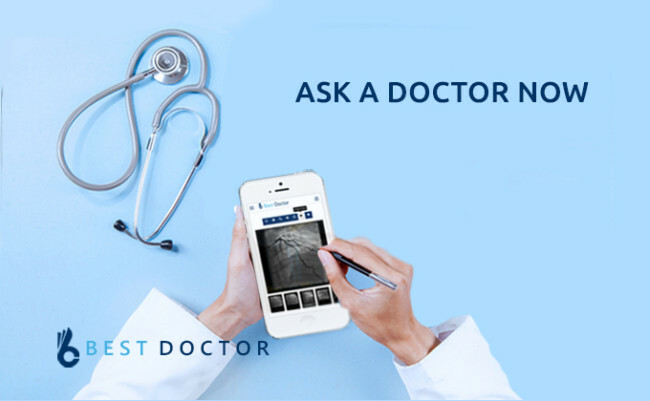 Talk to your doctor and explain any symptoms that are worrying you. As discussed earlier, you can try using the glass test for meningitis rashes to test for meningitis before you visit the doctor. Also, if you are sick, follow the doctor’s instructions carefully to ensure a quick recovery for either you or your baby. Do you Get Tested For Chlamydia When Pregnant? Grammar Pedantry Syndrome: Is It a Real Thing?